His Share of Glory contains all the short science fiction written solely by C. M. Kornbluth. Many of the stories are SF "classics", such as "The Marching Morons", "The Little Black Bag", "Two Dooms", "The Mindworm", "Thirteen O'Clock", and, of course, "That Share of Glory". 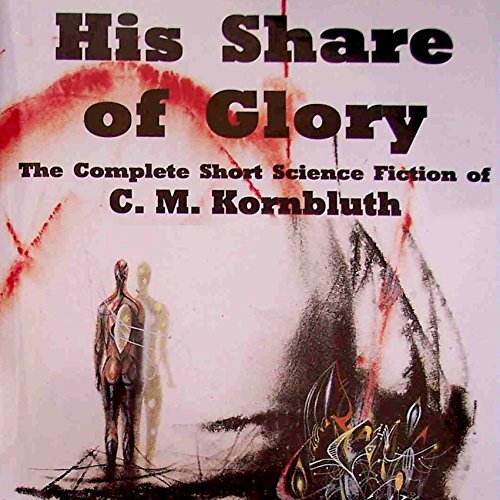 His Share of Glory includes all of Kornbluth's solo short science fiction, fifty-six works of short SF in all, with the original bibliographic details including pseudonymous by-line. The introduction is by noted SF writer and life-long friend and collaborator of C. M. Kornbluth - Frederik Pohl. ©1997 The Estate of Cyril M. Kornbluth (P)2014 Audible, Inc.